Every few years, there's another essay insisting that irony is ruining culture. Hipsters and postmodernism have created an insincere world where nothing means anything. But you never hear anybody insisting that irony has ruined science fiction. That's because irony is part of the creative life-force of the genre. We tend to talk about irony in terms of a disconnect between a stated expectation and what actually happens — in other words, as a kind of failed futurism. But irony, more broadly, is about dislocation. And the description of types of irony in the introduction to the book Irony in Language and Thought (ed., Gibbs and Colston) seems like it could be a list of science-fictional story setups: "coincidences, deviations from predictions, counterfactuals, frame shifts, juxtapositions of bi-coherences, hypocrisy, etc." Anybody who writes about history, and then tries to imagine history continuing into the future in the same bewildering, illogical, bendy fashion is going to bake a certain amount of irony into the cake. That's partly because storytelling is about humans, who use technology in ways that its creators never expected, and make choices that no rational observer would expect. The law of unintended consequences is fundamental to narrative irony. The ironic twist is also part of the DNA of SF, from War of the Worlds onwards — H.G. Wells' disease-ex-machina ending only really works as irony, rather than as straightforward narrative: they're too big and powerful for us, but in the end they're unexpectedly defeated by the tiniest of creatures. Science, by definition, is implacably hostile to irony, entirely dependent on statements meaning exactly what they say. Fiction not only accommodates irony but welcomes it, determinedly extrapolating the principle that statements can imply more than they actually say, and are quite capable of implying something entirely different. In other words, science is pedantic, and fiction is anti-pedantic. From the literary viewpoint, science is bound to seem rigid and humorless; from the scientific viewpoint, fiction is bound to seem mercurial and perverse. And it's really true that science fiction has been ironic from its beginnings — a lot of the Golden Age authors are addicted to the wry twist and the dystopian satire. But once people start trying to make science fiction more "literary," it often seems to involve an extra injection of irony. 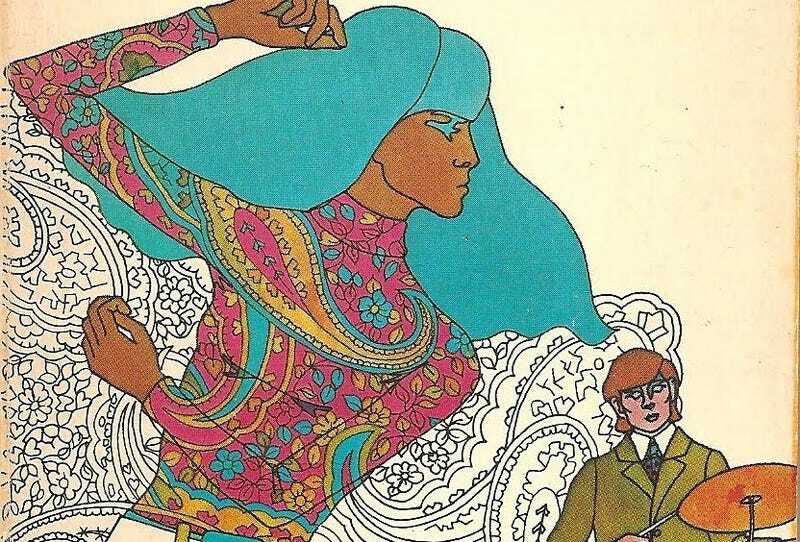 Look at any list of SF authors whose work is especially rich in irony (from Brian Aldiss to Gene Wolfe) and you'll find yourself looking at a Who's Who of the New Wave, that 1960s-1970s movement to insert more literary experimentation into the genre. In the famous 1963 New Worlds essay that launched the New Wave, editor Michael Moorcock listed "irony" among the crucial qualities that he felt science fiction needed more of. One author whose work is full of dark irony, and which also pokes at the dislocations between our worldview and our world, is Kurt Vonnegut — as Peter Brigg argues in The Span of Mainstream and Science Fiction, Vonnegut adds "ironic bitterness" to his already ironic juxtaposition of wartime horrors and postwar life in Slaughterhouse Five by repeating the phrase "So it goes" after describing terrible scenes of death and destruction. And it's no coincidence that a lot of postmodern literature, from Thomas Pynchon to Angela Carter, has flirted with science-fictional themes. The very density and allusive quality of postmodern lit makes it rich with irony — and a great postmodern novel often seems to flirt with a weirdness that can't be contained by realism, and that therefore ushers in the fantastical or the other-worldly. The sense that the world is full of oddly meaningful codes and signifiers is also very science-fictional in its paranoia. When Bruce Sterling helped to launch the Slipstream movement (another attempt to insert literary touches and strangeness into SF) he said that another term for Slipstream might be "Novels of Postmodern Sensibility." A crucial ingredient of Slipstream novels seems to be the strangeness of the future, and the intensely ironic disconnect between a 20th century and the looming absurdity of the imminent 21st century. I'd argue that postmodern lit was naturally primed to find irony in science fiction ideas, because of the irony inherent in SF's future-looking weirdness, and its focus on jarring perspective shifts. I did a Lexis/Nexis search for the term "Pynchonesque" last night, expecting to find a host of postmodern science fiction authors described as "Pynchonesque." (And I did — including a lot of literary SF books of the past decade.) But in fact, the term is used more broadly than I'd realized — more than one news article refers to the NSA spying as "Pynchonesque," or describes whistleblower Edward Snowden as a "Pynchonesque" figure. In other words, our present-day dystopia is suffused with Pynchonian weirdness, and hence with irony. In his book New Maps of Hell, Kingsley Amis argues that dystopian satire, rather than technological extrapolation, is at the core of science fiction. And currently, the most popular books and movies in the field include tons of dystopian and post-apocalyptic stories. These dystopias often comment on our own world in a way that creates a kind of ironic distance between 21st-century America and, say, the oppressive police state of the Hunger Games. Even if there's no humor or satire in a lot of dystopias or post-apocalypses, the hints and reminders of the vanished world (the world we live in now) are inherently ironic and disturbing. Talking about Margaret Atwood's The Handmaid's Tale, Brigg writes that the "cultural echoes" we see in Gilead "serve to contrast it with the culture of our present." And "the present is caricatured" by the glimpses of this future culture, and the commentary on it. When I talked to Pendleton Ward about Adventure Time , his post-apocalyptic fantasy show for kids (and a lot of adults), he denied there's any irony in his show — because it doesn't have a lot of pop culture references. (This was before the Ice King sang the theme from Cheers.) But I feel like as the storytelling on Adventure Time has gotten richer, and the show has done things like poke more fun at Finn's obliviousness while making the Ice King more of a tragic hero, it's developed a deeper sense of irony that has nothing to do with being self-referential and everything to do with letting the viewers see a different level of reality than the characters themselves. And another author who's frequently mentioned as a master of irony is Iain M. Banks, whose Culture is actually a posthuman utopia that's in constant tension with the "lesser" societies around it. And the irony in the Culture novels doesn't at all undermine the utopian aspects of the Culture — if anything, funny touches like the names of the Culture GSV ships and the strangeness of the Minds only serve to create a greater sense of distance from "our" world and from the barbaric civilizations the Culture meddles with. Which sort of brings me to the reason I was musing about irony and its place in science fiction in the first place: because irony is a key ingredient of really compelling world-building. I don't entirely believe in a secondary world or futuristic society that doesn't include huge elements of irony — which doesn't have notes of discord between ideology and practice, or unexpected consequences and use-cases. But also, one of the main criticisms of irony is that it's distancing, because of the way it relies on the distance between reality and expectation, for example, or idea and implementation. Too much irony, and you can't identify with the characters in a story any more — except that I absolutely identify with a character who's trapped in a world of bewildering contradictions and disconnects. And the more you sell the irony and high-contrast strangeness of the setting, the more we get drawn into your characters and their non-ironic emotions. At least, that's how it often works if you do it right. I want to close with a plea for reclaiming irony from the realm of "hipster" affectation, as if wearing a silly hat is the most ironic thing you can do. In a world that's growing increasingly science-fictional and absurd, irony isn't a way of removing meaning from everything — rather, it's the most sincere response to a world of nonsense. The best way to capture reality is through a distorting lens, an act that is inherently ironizing.